Brixton activists decided to fight the gentrifying influence of Big Money by creating their own local currency. Their struggle, however, pits them not just against the dollar, euro or yen, but against the global economic system and the whole concept of money itself. In Brixton, life is lived at high volume. Evangelical preachers swap shifts with busking drummers and rock bands on the loudspeakers outside the Underground station, and music blares from nearly every shop and kiosk in the curving streets around the market, a heady mix of reggae, afrobeat and gospel. Since the 1940s this area of southwest London has been the heart of the city’s Caribbean community, but its latter-day reputation was forged in the 1970s and 80s, when unemployment and social exclusion led to rising crime rates. Its closely packed residential streets and high-rise tower blocks became the backdrop to two infamous riots, and the area became known as a centre for gang violence and drug abuse. 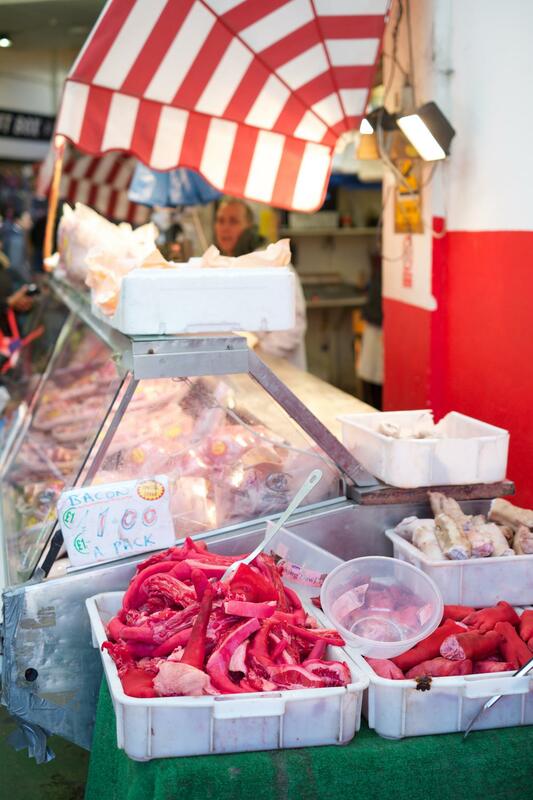 The Brixton pound, a local currency—paper and electronic—that launched in 2009, is now accepted by hundreds of shops, bars and cafés in this multicultural area of southwest London. The area is undergoing the traditional starving-artist-to-start-ups progression at hyperspeed, and it is pricing long-term residents out of the market. Shop rents are rising as owners cash in on the rising tide, and while the newfound affluence has washed away some of the stains on Brixton’s character, old-timers fear that it will also leach out the vibrancy and sense of community. Shops along the railway line that cuts Brixton in half are feeling this squeeze. Vendors in the railway arches have been campaigning since the start of February to stop Network Rail’s plan to evict them, renovate the spaces and then triple their rents (if it lets them return at all). Shakhli belongs to a small band of economic activists trying to slow the flood of money and the homogenisation of the area with a radical approach: printing their own cash. 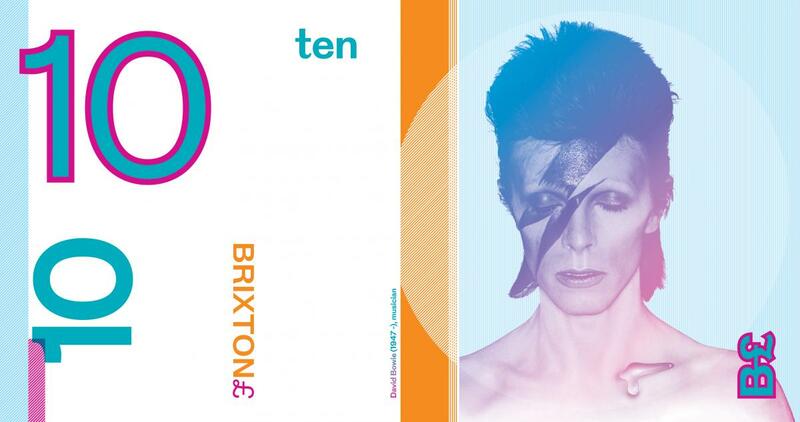 Their Brixton pound (B£) notes, which feature local heroes such as basketball player Luol Deng and musician David Bowie, are accepted at approximately 250 shops, bars and cafés around the area, keeping money circulating locally, out of the hands of global chains. The project includes an electronic currency system that lets users pay using a smartphone app linked to a bank account, credit card or PayPal. Around 2,000 people have registered for the e-currency system, transacting a total of £200,000–250,000 (€269,000–336,300 or US$307,000–383,800) per year. A straw poll of shops in the area turned up mixed support for the Brixton pound; most support the idea, but have yet to see the e-currency generate much new trade. The local council has also given the scheme its support, becoming the first in the country to allow companies to pay their property taxes in Brixton pounds, and has since estimated that the press coverage of the scheme has paid off by generating £500,000 (€672,600 or US$767,700) in positive media exposure. The project is bigger than just a neighbourhood effort, however. Conceived in the immediate aftermath of the global financial crisis, the Brixton pound is, Shakhli says, a way to rethink how money is created and circulated. The direct link between the monetary system and house prices in Brixton is, on one level, fairly straightforward. The financial value of London property has soared in direct response to global financial uncertainty. Turmoil in the eurozone and the devaluation of global currencies through money printing has driven investors worldwide to look for stores of value, and London real estate has proven a popular one. The price of the average London property rose past £520,000 (€703,800 or US$799,500) in 2014. Wages have stagnated and for many Londoners, home ownership is now a distant aspiration. Once down-at-heel areas are being redeveloped with an eye on the international market, made over with concrete and glass edifices that are gazetted to portfolio buyers in the Middle East and Asia before they go onto the local market. There is a deeper link, however, that runs to the core of how money and monetary systems function. The vast majority of money is created not by governments and central banks, but by the private sector, in the form of loans to investors, businesses and consumers. The Brixton pound (B£) was launched in September 2009 as a physical, paper­based currency, and expanded in September 2011 to an electronic pay­by­ text platform. Around 250 businesses currently accept B£ notes and over 160 have pay­by­ text accounts. Each denomination of the paper banknotes commemorates a local hero (selected by popular vote by the people of Brixton), celebrating their history, art, politics and culture. The B£10 notes show David Bowie, who lived in Brixton from 1947 to 1953. 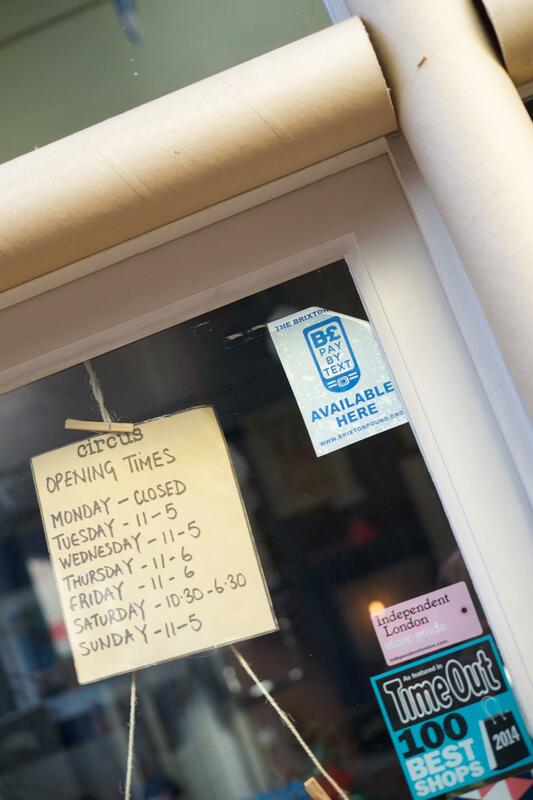 The Brixton pound is just one of many attempts to offer an alternative to the predominant monetary systems. In the UK the city of Bristol and smaller towns such as Totnes and Lewes operate their own currencies. In Germany there are more than 50 such projects. Each has its own purpose, from building marketing networks for local small businesses to building in carbon credits and supporting environmental projects. Each is empowered by the sense that money itself can have an objective. These are questions that are rarely asked, but which have huge relevance in a global economy that is increasingly defined by inequalities between those who own assets and those who do not. Indeed, in a financial system inextricably linked with the environmentally unsustainable use of resources, answering these questions correctly may be a matter of life and death. Local charities can choose to accept donations in B£. Donors who are registered for the electronic currency system can contribute by text message to causes from soup kitchens and food banks to energy conservation initiatives and immigrant services. In addition, 1.5% of all electronic transactions goes to fund micro-grants for area projects. ‘The money you use predetermines the outcomes in an economy or a society. Finding the right kind of money for the objective is what community currencies are trying from the bottom up. But there’s also a top-down argument in monetary reform saying we have to tackle money as a question, as a thing in itself,’ Bindewald says. Shakhli knows that small-scale approaches like the Brixton pound are not going to paper over the cracks of a system that is failing many. They are, however, raising awareness that there are alternatives and fixing some of the symptoms. Peter Guest is a journalist and editor writing about the environment, human rights and economic development. He wrote about Mars exploration in the previous issue of WTW. For this piece he reports from his native London.